This month we're featuring the Buddha seated underneath a parasol on top of a pedestal. 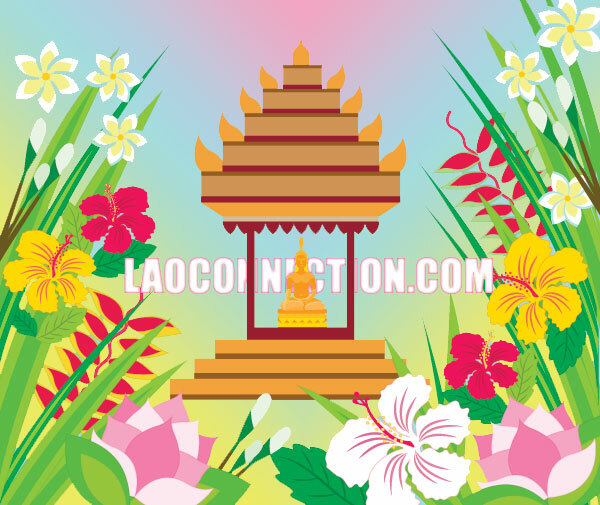 A popular depiction of him in Laos and southeast Asia. Additionally, he's surrounded by flowers found in Laos.